Cathedral Eximious The Twelve Apostles 51% Beeswax Paschal Candle 1-15/16" - 39"
Every Eximious candle from Cathedral is individually hand-made with intricate inlays, rich onlays, and classic sculptured engravings. 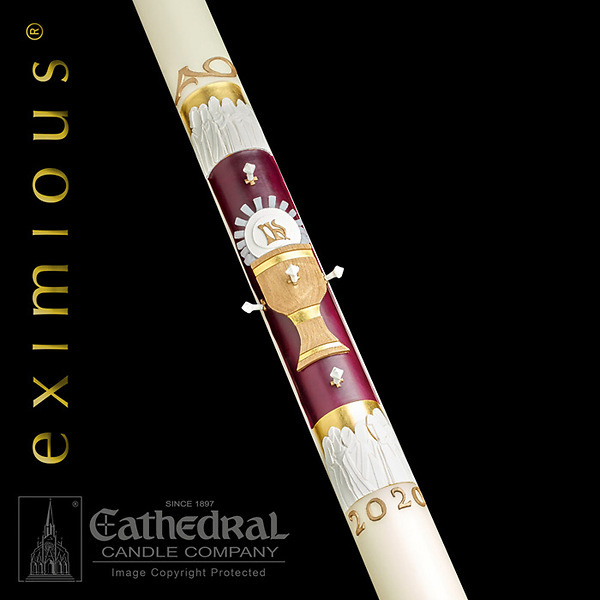 The 12 Apostles is a dramatic expression of spiritual adoration, gloriously presented with rich gold, royal velvet, red and pure white hand-made wax symbols of the season. Available in lengths ranging from 39" to 60" and diameters from 1-15-16" to 4".